This picture has been taken in the cellar of one of the house in Tatev village. The name of the kid is Tigran and he is showing me the bear that his dad has hunted few weeks ago in the forest around the village. 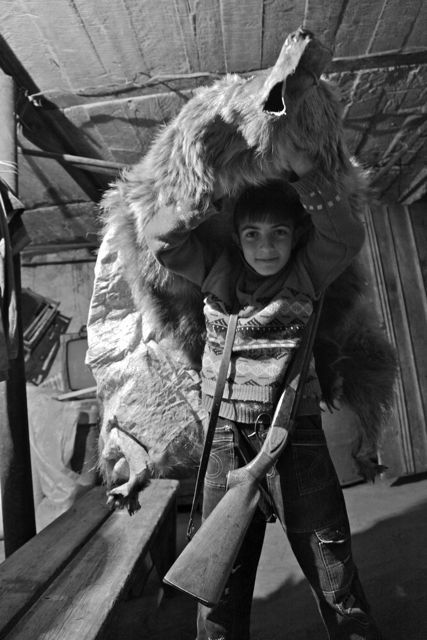 The shotgun he has around his neck is not his toy but the weapon his Dad used to shot the bear down.